Home Education What Is Largest Number In The Universe? What Is Largest Number In The Universe? 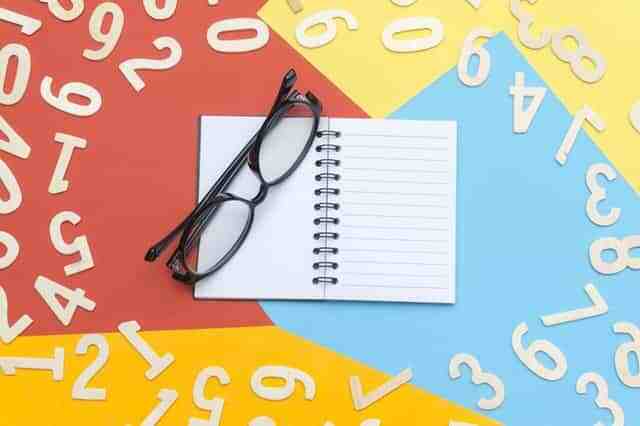 Numbers can be fascinating, ever since we start to learn about numbers as a kid an interesting question always comes up in our minds what is the biggest number? Most people will tell you it's infinity but infinity is not the biggest number actually infinity is not even a number it is an idea that means something which goes on forever something which has no end. So what exactly is the biggest number? Well, there is no answer to this question since you can always add 120 number which is being claimed as the largest. So what if I rephrase my question to this, what is the biggest number we know of? Now, this makes a bit more sense and this question actually has an answer. But to understand the largest numbers we know if we need to get a sense of scale so that we can visualize the numbers we are talking about and that is why we have to start with some smaller numbers and then move upwards. Let's start with not so big, not so small number which is a million. A million is a one followed by six zeros also written as 10 to the power of six. It would take you 12 days to count to a million. Now a million is used quite often in our daily lives we buy properties in millions, the population of cities is measured in millions etc. But to get a quick look of how big a million looks right now just get your eyes very close to your laptop you will see very small square shape pixels count each one of them on your screen and you will end up with a million because a display resolution of 1280 by 800 pixels equals a million pixels. So you have a million pixels right in front of your eyes. A million isn't that big when you compare it to a billion. As I said counting a million would take you 12 days but to count up to a billion would take you 32 years that is how huge a billion is when compared to a million. But even a billion is not that hard to imagine and is still used commonly. For example, the world population is 7.4 billion or the net worth of Bill Gates is 83.7 billion USD. Next comes a trillion, a trillion is a one followed by twelve zeros and counting up to a trillion would take you more than 32,000 years. Now a trillion is a far less useful than a million or a billion but it is still used in matters of the economy as the national debt of United States is eighteen trillion dollars and who can forget that famous 100 trillion dollar note in Zimbabwe which happened due to hyperinflation. A trillion is not larger than a quadrillion, now most of you may not have heard about numbers after a trillion because these numbers are rarely used in our day-to-day lives and have very limited use. So a quadrillion is a 10 to the power of fifteen. Now, what use can a quadrillion have? It is the number of ants on the surface of the earth. A quintillion which comes after a quadrillion is the number of atoms present in a single grain of salt. It is also the total number of sand grains on all the beaches on earth. It is a massive number. A quintillion is not larger than an octillion, a number that has 27 zeros in it. A human body has seven octillion atoms in it. Now we take a big leap on the number line and from 10 to the power of 27 we reach to the number 10 to the power of 80, this number is quite significant and also quite huge. 10 to the power of 80 which is this big when written down is the total number of atoms in the whole observable universe and remember just a single human body has more atoms in it than the number of sand grains on earth. So just imagine how many atoms will be there in the entire universe that number is 10 to the power of 80. All these numbers are insanely big but they are still very small. These numbers were just an introduction there is nothing when compared to the numbers we will be talking about in the next. The real large numbers begin now, a Googol, a name which sounds more than familiar to everyone thanks to the search engine we use every day which is actually a misspelling of this enormous number. A Googol is written as 10 to the power of 100 and has a 100 zeros in it. Now it is very tough to find a use of this number because even if you count the number of atoms in the whole universe it would be less than a googol even if you fill the whole observable universe with sand grains and count the number of sand grains the number would be still less than a googol. So where can this number be used we need to find an application to this number otherwise it is useless. Well, a Googol can be beaten by a six by six by six Rubik's cube which has a total number of 1.57 * 10 to the power of 116 ways of arrangement that number is bigger than a googol. You have to take a planks length, now a planks length is the smallest length in which the laws of physics work. It is ridiculously small it is 10 to the power of minus 35 meters which means it is a septillion time smaller than an atom. Now take this Planck's length and fill the whole universe with it. The number of planks length which can fit in the entire universe is 4 * 10 to the power of 185. So we have taken the smallest possible length in the universe and filled the whole universe with it and ended up with this number which has 185 zeroes in it. So anything bigger than this number can't be explained in physical terms. But we have to search for even bigger numbers now getting back to a Googol which is 10 to the power of 100 what if I make it 10 to the power of 100. It becomes 10 to the power of Googol since 10 to the power of 100 is already a Google this number is called a Googolplex. A Googolplex will have a googol zero in it since its power is Googol. But as I said earlier the number of atoms in the observable universe is less than a googol so what does that mean. It means that there isn't enough space in the universe to even write this number since Googleplex has more digits than there are atoms in the observable universe. At this point, we are talking about numbers which are incomprehensible numbers could be even written down. Moving on similar to a Googolplex we have a Googolplexian which is 10 to the power of 10 to the power of 10 to the power of 100, which means it is 10 to the power of Googolplex. In Googolplexian there are so many digits in the power itself that it can't be written due to the lack of space in the observable universe. Since we can't even denote the number of powers in this number forget about writing the actual the number and don't even think of understanding the Googolplexian. It is just too big to be understood by the human brain. Is Googolplex is the largest number we know of? Now this problem is too complex to be explained right now so I will just rather explain Graham's number. In Graham's number, we use an arrow notation instead of a power notation and this changes a few things. For example, 3 arrow 3 means 3 cube which is very similar. But if we take 3 arrow arrow 3 it means 3 to the power of 3 to the power of 3 which gives us seven point six trillion. You see just by adding one single arrow we jumped from 27 to 7.6 trillion. Similarly, 3 arrow arrow arrow 3 gives us three double arrow three double arrow three. Now, this number is 3 ^ 3 ^ 3 ^ 3 ^ 3 ^ 3 and so on, for 7.6 trillion times. Just 3 ^ 3 ^ 3 gave us seven point six trillion, so just imagine what the answer would be if there are seven point six trillion stacks of power above three. Similarly, find 3 arrow arrow arrow arrow 3, keep in mind that just adding one arrow is escalating things crazily so this new number 3 arrow arrow arrow arrow 3 is way bigger than what you can ever imagine. But we are still nowhere near two grams number, so take this 3 four arrows 3 and name it as G1. Now to find G2, you have to take two 3s and have G1 arrows in between them. Remember that G1 is an extremely massive number which we can't even calculate. Now you are going to have that many numbers of arrows between the two 3s to get G2. Also, remember that we cannot understand the answer of 3 triple arrow 3. So when you have G1 arrows in 3s, it's gonna be gigantic. Now, in the same way, find G3 by placing G2 arrows between the 3s, repeat this process until you get G64 which will have G63 number of arrows in it, this G64 is Graham's number. This number is so massive, so enormous, so gigantic, so humongous, so colossal that I have run out of adjectives to describe this number. Our human brain can't imagine such a huge number, we do not even know the first digit of this number although we know the last five hundred digits. But even though Graham's number is so big, so huge there are still infinite numbers bigger than Graham's number. We are still basically at the same distance from infinity as any other number. Now moving on the last number is Rayo's number now before talking about Rayos number, I have to tell you that I have left many other large numbers in the way, which is much much larger than Graham's number as well as other large numbers like Skewes number and Loader,s number.
" The smallest number bigger than any finite number named by an expression in the language of set theory with Googol symbols or less."